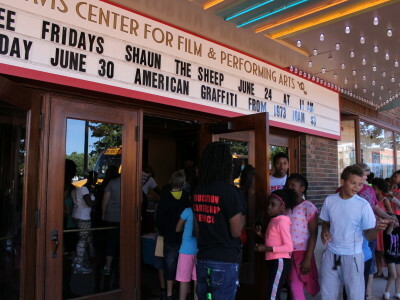 The Bohm Theatre is committed to operating a premier film and performing arts facility in south-central Michigan, offering divers artistic, cultural, and educational programming that will stimulate community engagement and collaboration, foster accessibility to the arts, and inspire individuals to expand their knowledge, involvement and support of the arts. Many thanks to the Albion Philanthropic Women for helping the Bohm kick-start our education and outreach program. Funds from APW went towards providing technological support, staffing and educational/entertainment DVD’s for our outreach activities. 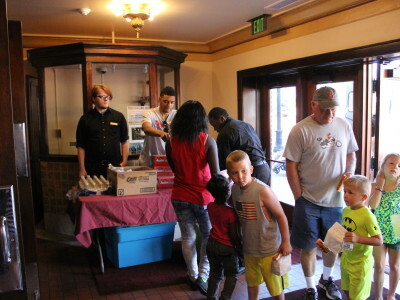 Tours of the historic Bohm Theatre can be tailored for your class, scout troop or summer camp group based on the students’ ages and curriculum. General topics covered include art and architecture, “behind the scenes” theatre operations, history of the Bohm and of film presentation, Albion’s Purple Gang and more. 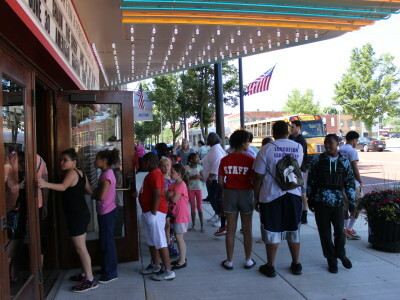 We generally advise that students be at least elementary-school age to appreciate the experience. Tours can take between 30 minutes or up to 2 hours if you want to include the opportunity to hear the state of the art sound system. 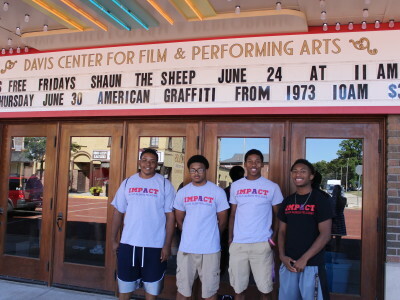 Admission is $3.00 per student, payable by cash, check or credit card the day of your tour. 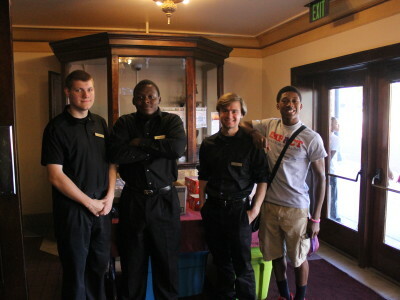 Interested in adding free soda and popcorn service to your trip to the Bohm? 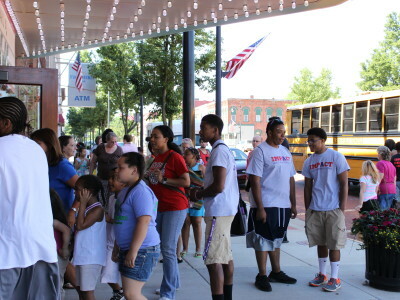 For an additional $100, you can have free popcorn and soda for your group of up to 50. 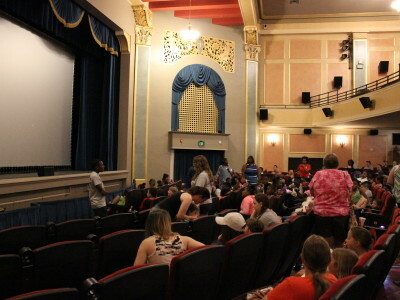 The seating capacity of 400 at the Bohm Theatre makes it an ideal place to screen an educational film for your class or for a great time for a large group. 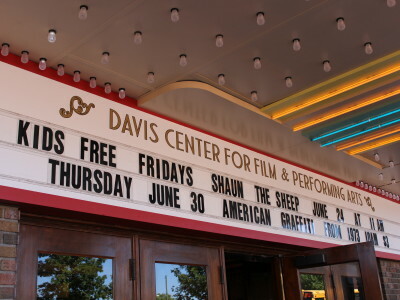 To screen a first run feature that is currently playing at the Bohm – the cost is $5.00 per person and includes a small bag of popcorn. To screen a feature of your choice, the cost is $500 and includes the screening rights and projection staffing for your film or BlueRay DVD for a 2-3 hour time block. 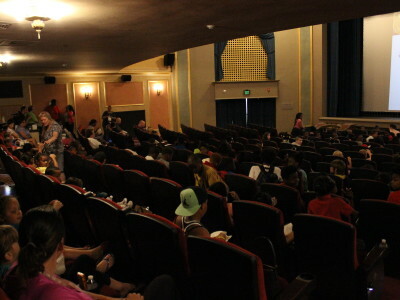 Student film field trips need to be scheduled at least 1 month in advanced to secure the film rights for your screening event.Want to add free popcorn for your group or have pizza catered to the Bohm? Please contact us for additional information and pricing at nancy@bohmtheatre.org. 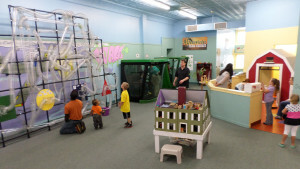 Complete your day in Albion with a visit to Kids ‘N’ Stuff Museum. 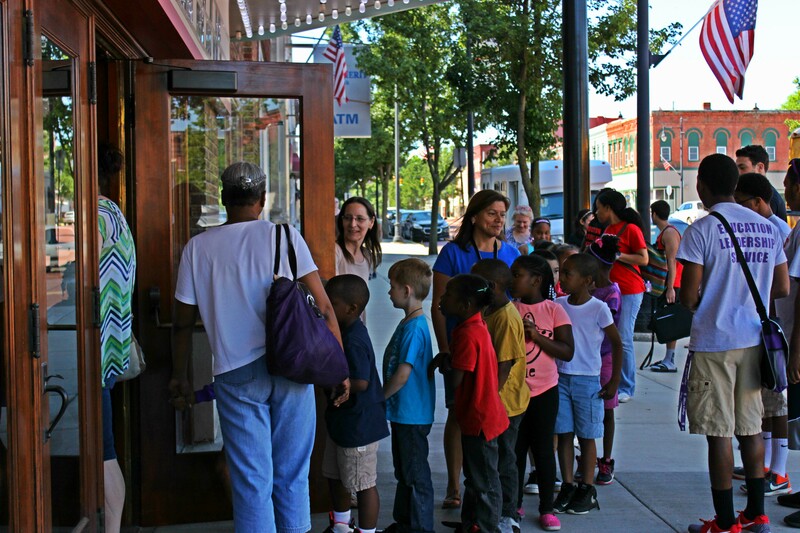 Conveniently located just down the block from the Bohm, the Kids ‘N’ Stuff Museum is an interactive experience for the whole family. Have a Great Day in Albion!